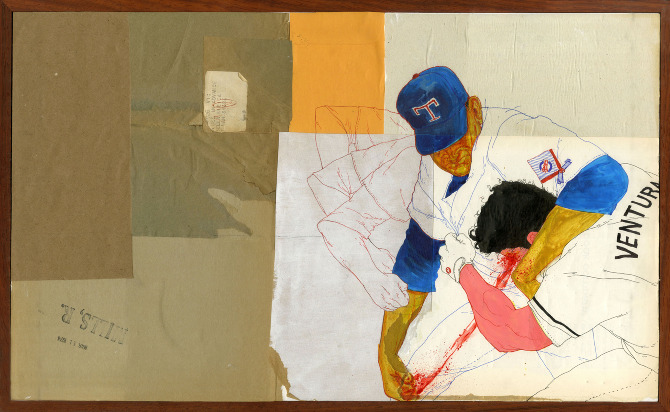 Harrison Freeman is a Portland based illustrator and designer. I really dig his gritty style and use of mixed weathers materials. 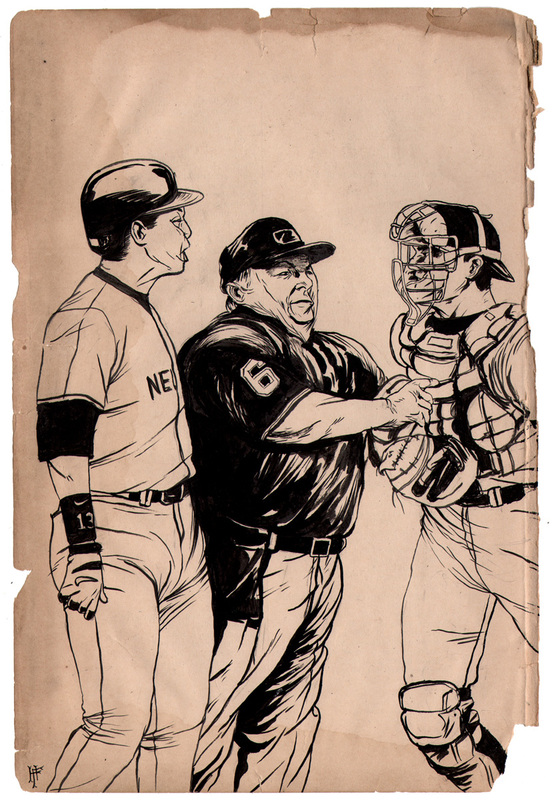 I'm a big fan of his Baseballbrawl series that appear be done on old book paper. 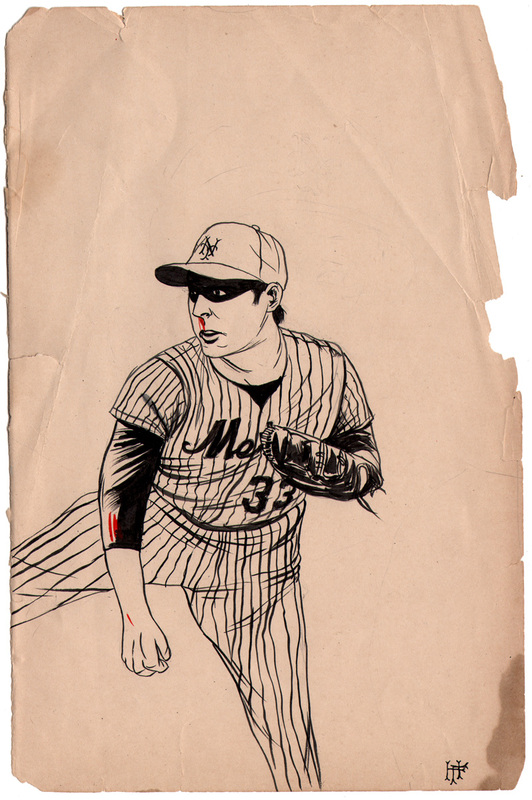 His series of baseball players on Post-Its is pretty sweet too.